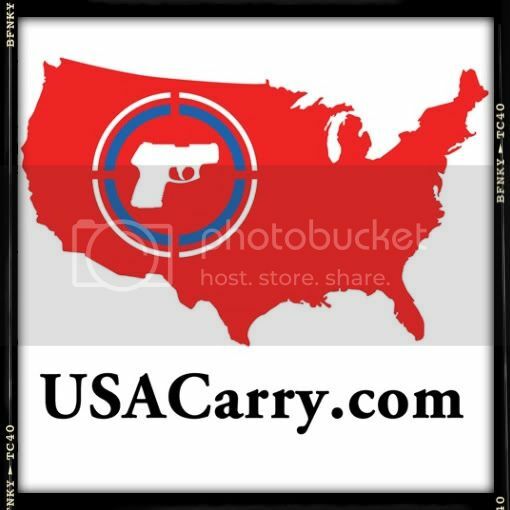 Recently my friend Gracie, of Packing Pretty, posted an article about pink guns. As per usz, I agreed with all of her points. She has an amazing knowledge of guns, tactics and shooting. Gracie is one bad a** gunner girl and I respect her a lot, pink gun and all... But if there's one thing I know, it's color. Not only do I hold a BFA in Interior Design, but I have always had an eye for mixing colors and materials. In a previous (career) incarnation, I worked as a consultant and used this skill for many types of design projects. Be that as it may, I'm not an especially girly girl. I don't prefer pink; It's not even in my top three. I have been accused of having "more tools than a dude" and could live in jeans and T-shirts. (Then again, I do enjoy donning a fabulous pair of high heels now and then.) But I digress. 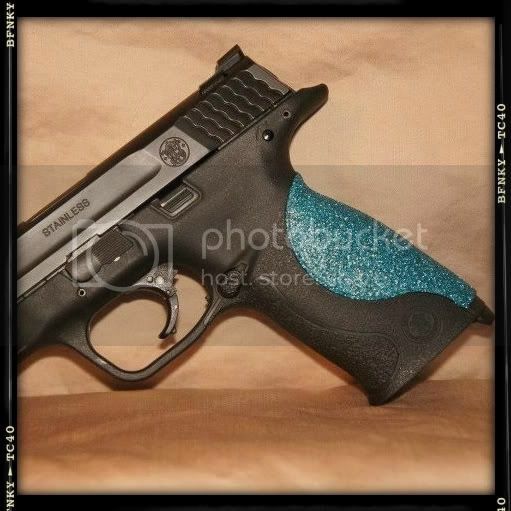 Once I began shooting, I went looking for colorful range gear and was intent on bedazzle every inch of it. This must have been my body's attempt at balancing all the manliness suddenly surrounding me. 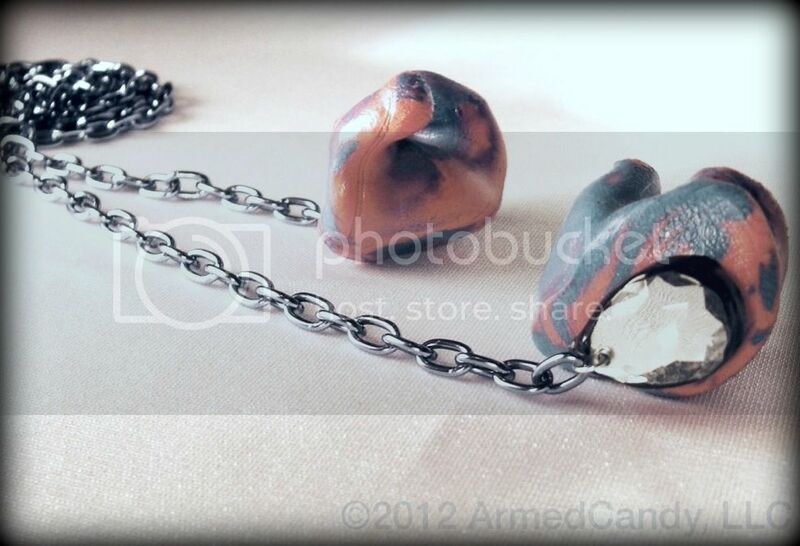 What I found is part of what inspired ArmedCandy to grow into a retail business. Most of the gear available had obviously been created to be as functional as possible with little regard for aesthetics. I don't say this to belittle these products or their creators. Functionality is key & I respect the need for it, but women just need more. I did notice that some gear manufacturers had taken their black gear and cloned it in pepto pink (a term I coined for that "breast cancer ribbon" pink, when it is used on products unrelated to the cause). 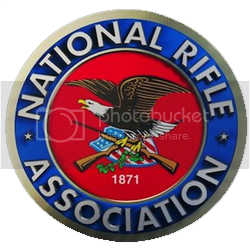 Men of the gun industry, thank you for this effort. I understand that sales of the pink stuff are good but when it comes to satisfying the lady gunner, you've barely scratched the surface. 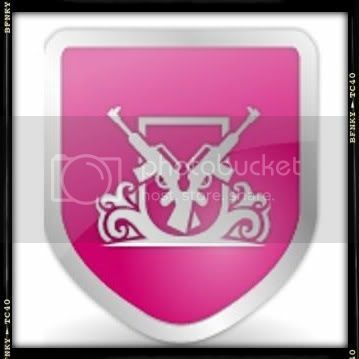 So to those of you who are bothered by a little pink in the gun shop, hold on to your hats! 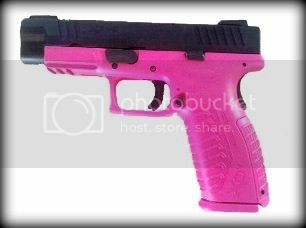 As you can see, Gracie's gun is not even close to pepto pink, and thats no accident. Under that coat of hot pink, is the gunsmith's first attempt. It was much closer to a "Silly Putty" pink. After a second crack at it, he found Gracie's prefered shade. I'm more of a light blue kind of girl, and I like some sparkle too. Hence my ear plugs. Why did we both go out of our way to not use the available options? Because those options didn't properly express each of us. Many people see a girl with pink or sparkly gear and assume that she's not serious about shooting, but that's simply not the case. Everyone expresses themselves through their clothing or their accessories, some even use their vehicle or home. It's just that women tend to be more aware of this expression. If you've ever heard a woman say that her clothes can impact her mood, that was a prime example of what I'm talking about. If you want to argue that a guns color doesn't affect it's "function", first tell the Marines that you're taking away their OD green and tan. Once you're done with that, consider that, to women, aesthetics are part of a gun's function. If we are going to carry an item every day, we will consider its functions just as we select our purse, our shoes & our underwear. Looks are a factor. Functionality trumps appearance. Let's get over guns being "manly", they are tools, plain & simple, usable by anyone (with proper training, of course!). Yes, training is key, but I believe you may have missed my entire point. Of course functionality trumps appearance, however women are built TOTALLY different than men in all ways and we REQUIRE more diversity in our firearms and our accessories. And as long as we are being safe, and properly training, doesn't it make this more of a sport to have fun with it? Every other athlete chooses their tools or sports apparel based on comfort level, functionality and personal preference. Why should shooters, men or women be any different? I don't quite get where the arguments against stylistic changes come from. As a man, I don't see the need to change my black guns... but that's not the point. OBVIOUSLY, functionality is the most important part. If it doesn't work, it doesn't matter what it looks like. No one is saying that should change so there is absolutely no reason not to make them more appealing in virtually any way that doesn't effect functionality. The "they are tools, plain and simple" argument doesn't seem to apply to a truck... should all trucks be black or grey because they are for just tools for work? Of course not! Will a pink gun work any better or worse than a standard black gun? Nope. Men and women have different mindsets. I think anything that gets more women interested and involved in the shooting sports and firearm ownership in general is a good thing. My carry 9mm sports hot pink grips. Not because of aesthetic preferences, but for practicality. If seeing my pink grips throws my attacker off stride, even for a moment, it's good for me. Any WTF moment for him buys me a sliver more of time to react. Same reason I keep Zombie Max cartridges in my LCR. Those little green tips peering out of the cylinder might have no effect, but they do me no harm, either. And if I drop my 9, I hope to locate it quicker. Mow to go carve a set for my new compact 1911.